A practical four piece all weather car mat set in a timeless design. 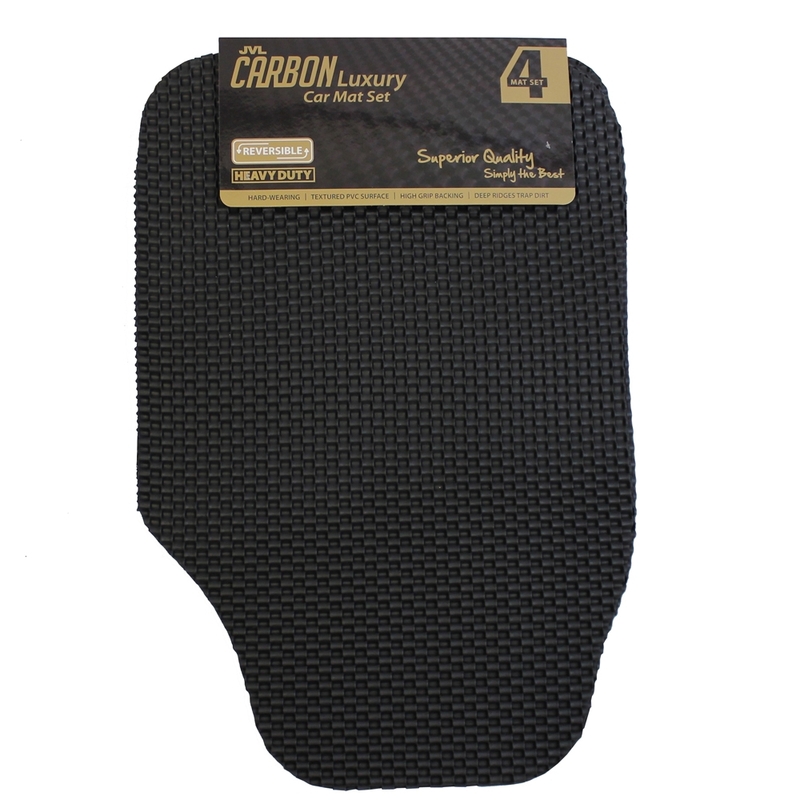 These car mats have been designed to help prolong the life of your vehicles floor carpet. This set of four black car mats are hardwearing and have a textured rubber surface to trap dirt and provide extra grip under foot. They are universal fitting and will look nicely shaped in the majority of vehicles. The set includes two front mats and two rear mats. Size: L:65 x W:44cm approx.